I want to applaud The Chronicle of the Horse Associate Editor, Molly Sorge, for her commentary in the October 26th issue. She was only asking the hard questions, which is what every journalist is supposed to do. "I'm a reporter. It's my job," she wrote. In mainstream professional sports (MLB, NFL, NBA, NHL), the media serves an important role. Print, online, and TV reporters cover the games--giving fans the pertinent facts from the games. But they also interview the players to relay their perspective about the competition, the sport, and the other teams and players. Reporters also give their opinions on plays, performances, and attitudes, and those opinions are not always kind. 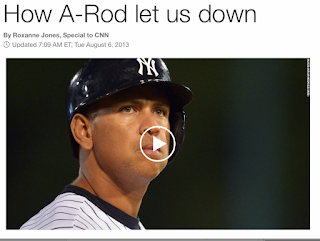 Reporters can be critical of a player not hustling on a play, or flipping his bat when he hits a home run. 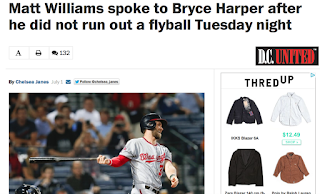 On a larger scale, the amount of words written about steroid use in baseball and the players who were involved could wallpaper a small planet. Alex Rodriguez has been ripped by the media for his steroid use. I've covered the show circuit for many publications and I've often felt that our job as reporters for the horse show world was only to report the happy moments: the big wins, the hardworking riders, the talented horses. Basically, I felt I was supposed to make it all rainbows and unicorns. I have always longed for a more investigative look at our world--to bring to the surface the bad parts that we all see on a day-to-day basis. Our sport is like any other--we have our warts. There are riders who have poor attitudes, or horses that get nerved when they come up lame so they can keep showing. There are horses that are drugged to be quiet. Where are the interviews with these riders, or the interviews with riders speaking out against these practices? Where is the story of the horse that was thrown away when it couldn't perform--where is the story that has no happy ending? In other professional sports, some reporters are known--and sometimes despised by players--for their penchant for asking the hard questions. In Boston, one of our best sports reporters and columnists is Dan Shaughnessy, who writes for The Boston Globe. Dan has even been given disparaging nicknames by certain players because he hasn't just tossed them softball questions or written to their egos. A Washington Post article chastising Bryce Harper for not hustling on a play. Some players won't speak to the media or won't speak to particular members of the media. Others learn to deflect questions. But most understand that speaking with the media is part of the deal. Perhaps publications covering the show circuit aren't asking the tough questions because then those riders will refuse to grant them interviews anymore. That, in part, is what has stopped me from asking tougher questions. Certain riders or trainers might blackball certain writers. But in order for our sport to become more mainstream, we need to look at all aspects of it. We need to hold our "players" to higher standards, and we need to write about it publicly when they fail. I hope Molly's commentary is the beginning of asking more of the hard questions and the beginning of riders giving the answers. Kim Ablon Whitney is a 'R' judge in hunters, equitation, and jumpers. She is the author of the Show Circuit novels.